When we’re planning for Open Access (OA) Week we reflect on where we’ve got to in our services, both in the delivery and the level of researcher engagement with OA. It’s always rewarding for us to remember how well established our service now is and the important part we play in increasing access to the University’s research and, of course, funder compliance. This year we worked with colleagues in the University’s Global Development Institute to showcase their OA research, which aligns with the theme of OA Week 2018, and highlighted our top 5 most accessed theses. It’s also rewarding to be out and about on campus, talking to researchers about OA. This year librarians from our Academic Engagement team held OA pop-up events in various buildings, away from the Library, and a screening of Paywall: the Business of Scholarship in a lecture theatre. Levels of engagement with OA at the University are high – while it’s undoubtedly true that this is related to funder policies , it’s also partly because our services are designed to make the process easy for authors. 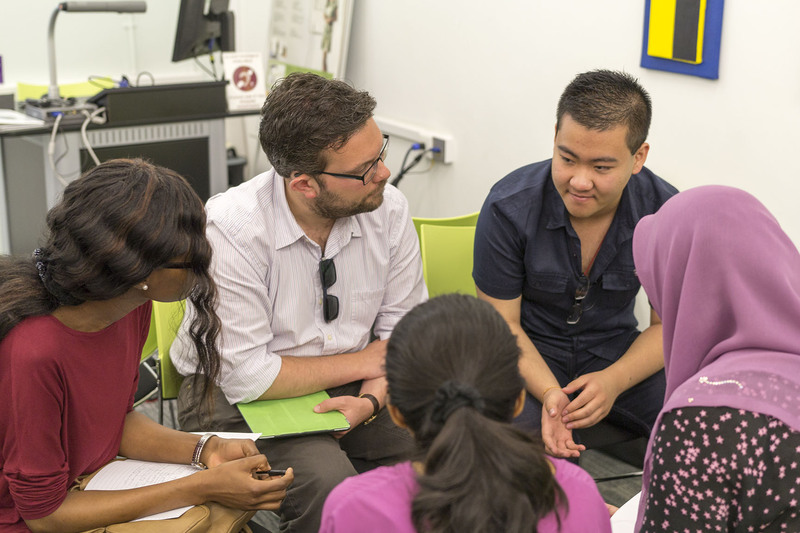 OA isn’t always easy for researchers to understand but our process is, and it prompts conversations with us about what to do, and the reasons why, all year round. Our webpages underpin our current processes but now – we’ve just launched new-look webpages – also look ahead, encouraging and supporting engagement with Open Research more broadly. What I’ve been reminded of as we’ve been preparing for OA Week is that however well we’re doing at the moment, there are still challenges to tackle. And I’m not referring to Plan S.
OA teams have formed and grown over the past 5 years. Most of us learned on the job and we’re now training the new colleagues on the job. I’m part of a national group considering how best to prepare the next generation of people for work in this area. One way we’re doing this is by inviting staff already working in this area to share their experiences. We often receive applications for our vacancies that suggest a lack of understanding about the nature of the roles so I’ve asked Lucy May and Olivia Rye from our team to talk about what it means to work in a role with a strong focus on Gold OA at a large research-intensive university. See Cambridge’s Unlocking Research blog for examples of other types of Scholarly Communication roles. A further challenge is OA monographs and book chapters. We really need greater clarity on publisher processes as they relate to OA for these output types. Over the past week we’ve been reviewing the status of 14 payments we arranged for our School of Arts, Languages and Cultures from our 2017-18 institutional OA fund (last payment made in early September), totalling just over £61,000. Of these, 6 outputs are not yet OA. Another output, a monograph, is not flagged as OA on the publisher’s page. This may be an oversight, but it’s telling of developments still needed – the publisher of this book told the author that they don’t have processes in place for this yet. Of the 6 outputs, two were book chapters, from a commercial publisher that I assume has a process, because they have a webpage offering OA for chapters as an option, but although I’ve had an apology I’ve not yet had confirmation of when the chapters will be OA. One was an article from a US University Press – I had a fast response and apology but have been told it will take at at least a week for the article to be made OA. The 3 remaining outputs are monographs. From the responses I’ve had I’m understanding that there’s a delay in converting a monograph to OA once a Book Processing Charge is made – what I’ve yet to learn is how long this is likely to be. We can’t have meaningful discussions with authors without this kind of information and the lack of publisher procedures affects confidence in engagement with OA. So, this is now on my To Do list both here at Manchester and for the RLUK Open Access Publisher Processes group. By the time we’re planning OA Week activities next year, and reflecting on how far we’ve come, I’m determined we’ll have answers. This week is Peer Review Week – what better time to announce the launch of a peer review elearning resource we’ve recently developed at Manchester? 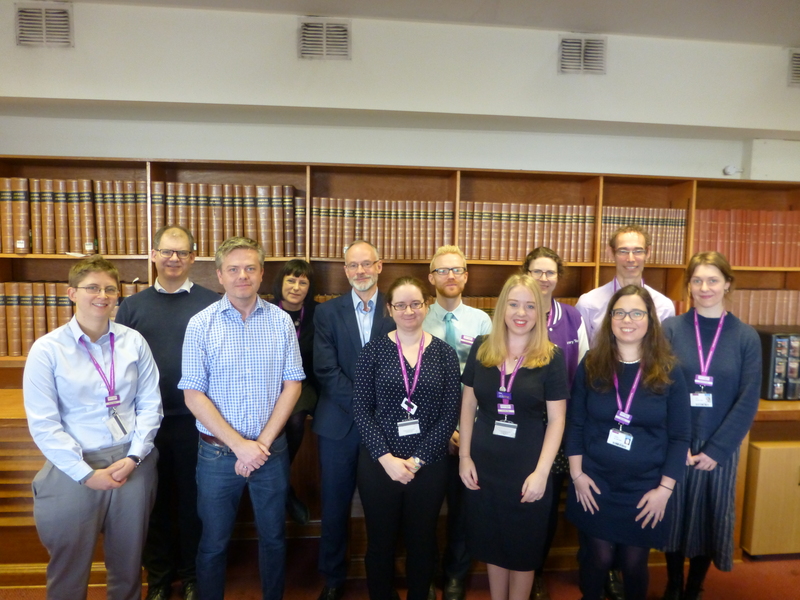 At the University of Manchester Library, we work closely with our colleagues at Manchester University Press in support of a number of the University’s strategic goals. One benefit of our collaboration is that we can provide scholarly communication development opportunities for researchers and students. Currently we are working together on a project funded by the University’s Centre for Higher Education Research, Innovation and Learning (CHERIL). The Publishing and Research Learning for Students (PuRLS) project aims to provide opportunities and resources to help students and early career researchers develop an awareness of the publishing process and the skills to participate as an author, editor and peer reviewer. We believe that the resources will support students and postgraduate researchers who want to set up and manage their own journal or simply learn about academic publishing, and also enhance their employability within academia or the publishing sector. Feedback from medical students involved in our previous CHERIL project (SOAR – Student Open Access Research) has informed the focus of the resources we’re creating, and we’re finalising further usability testing at the moment. The online modules have been created by drawing on expertise from the Library, the Press and the wider University community. Meredith Carroll, Journals Manager at Manchester University Press, prepared text content which the Library’s elearning team has turned into interactive resources, using Articulate Storyline 2 software. The peer review module takes approximately 30 minutes to complete and includes activities which allow users to take on the role of a reviewer, eg, responding to scenarios and critiquing real peer reviews. Naturally our peer review resource has been peer reviewed – for this we asked a number of our academic colleagues for their expert input. The peer review online module is available via the Library’s My Research Essentials webpage and is licensed as CC-BY.